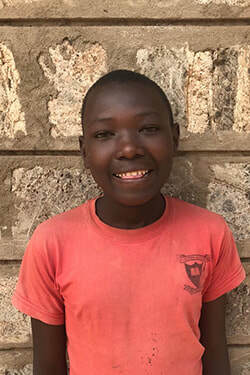 As Daniel's sponsor, you will support his education by helping with school fees and other costs that are required for children to attend school in Kenya. Right now Daniel needs support for the remaining two school terms of 2018, but you can continue to sponsor him for as long as you like. A goal of our student sponsorship program is to create a lasting and positive relationship between you and Daniel as he continues his education. We will regularly send you photos and updates on his progress in school, and Daniel will send you a letter at the end of each term. We also encourage you to send letters/emails and photos to Daniel as often as you would like! After you begin sponsoring him, we will contact you via email with more details. Thank you! At the moment Daniel needs help with his second and third term fees for 2018. We offer three standard donation options via PayPal. Please choose the option that works best for you below. If you would like to donate in another manner (e.g. via check), please email us at longonoteducationinitiative@gmail.com. 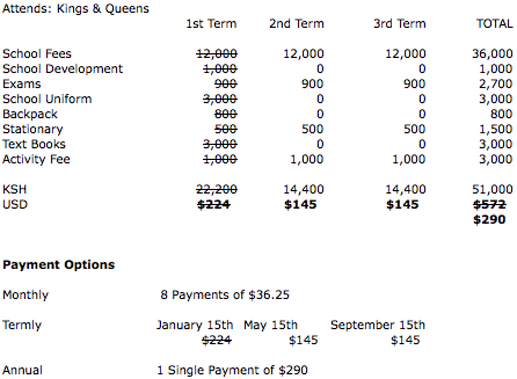 We will organize a method to fit your preferences. Head over to our Donation Page to make your choice of donation, just leave Daniel's name in the 'note' section - we'll get back to you right away with more details!